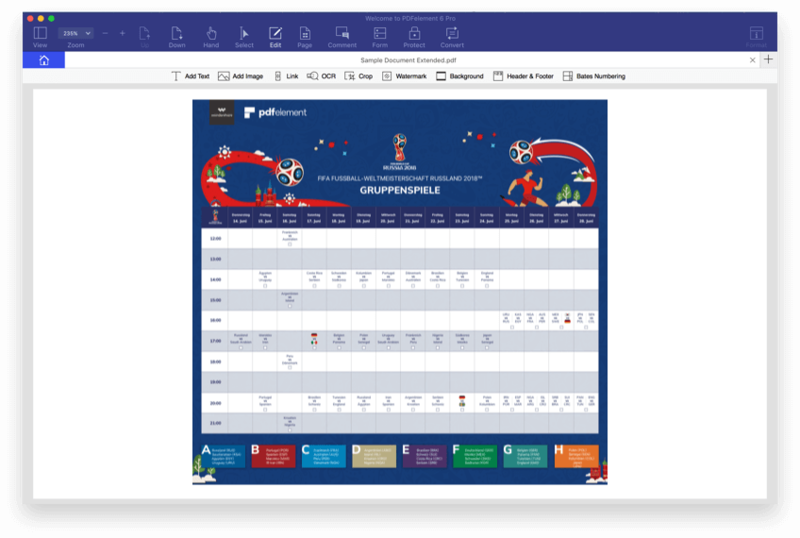 Design your personal World Cup Calendar by editing the digital template and adding match day, games, and more. Collaborate on your PDF files by adding comments where you want with sticky notes, text boxes, drawings, and markups. Create a fillable form with text fields, check boxes, combo boxes, list boxes, buttons, and digital signatures. Share your PDF files directly via Email, Dropbox, and Google Drive. Convert PDF files to different file formats, such as .docx, .xlsx, .pptx, .jpg, .html, and more. 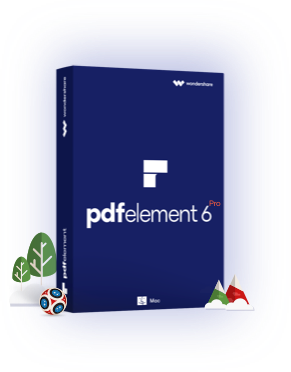 Print PDF files or print to create PDF files with PDFelement in a few clicks. 1. Pick one out of 32 World Cup teams as a Champion before 14th of July, 2018, Share this page and invite your friends and families to vote for your team! Rank your favorite team to top 5! 2. 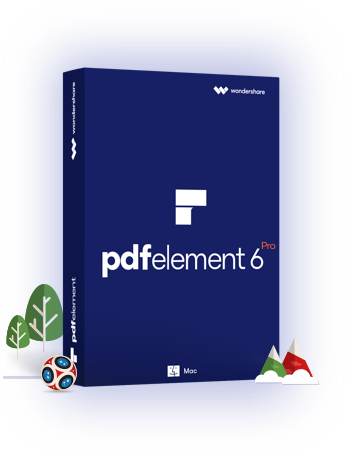 We provide exclusive 20% discount off PDFelement Pro to World Cup fans in period 15th.June.2018 - 14th.July.2018! 3. You can download World Cup Digital Calendar Template for free! You can create and edit a customized calendar with PDFelement.